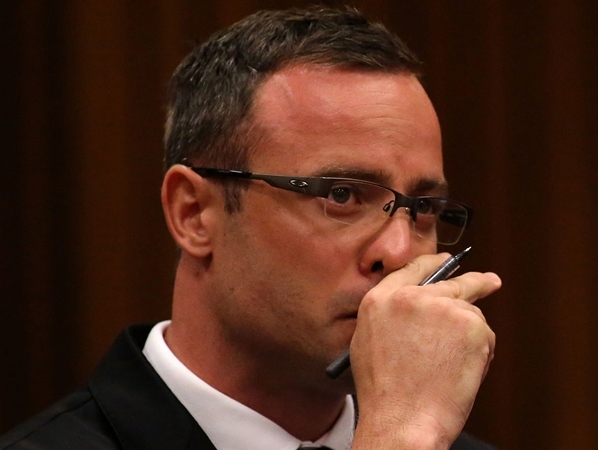 A primer residue test conducted on murder-accused paralympian Oscar Pistorius's hands and arms was described in the High Court in Pretoria on Monday. Warrant Officer Barend van Staden, during cross-examination by Barry Roux, SC, for Pistorius, explained how he did the so-called PR test on the athlete. The test is done to determine if someone has fired a gun. Pistorius is accused of the premeditated murder of his girlfriend Reeva Steenkamp in his Pretoria home on February 14 last year. He shot and killed her through the closed door of his toilet, apparently believing she was an intruder. Van Staden, who was standing in the witness box, pecked at his arm and hand with his index finger, and explained how he used a piece of special sticky paper to lift possible traces of residue from Pistorius's hands. Because Van Staden had learnt that Pistorius had washed his hands, he did the residue test on both his arms as well. Roux wanted to know exactly how Van Staden did this. "So you go around the whole arm up to the elbow, and then?" He asked how long the test took. "Seconds," Van Staden replied, speaking clearly and confidently in Afrikaans. Roux asked Van Staden to describe Pistorius's emotional state as he found him in the garage of his house, where he did the residue test and took photos of him. "Very quiet and emotional," he said. Roux asked him to explain what he meant by emotional. Court was adjourned until 9.30am on Tuesday. Van Staden is attached to the photography section of the Local Criminal Record Centre. He had been with the centre for 12 years, and in the police for 21. In addition to the murder charge, Pistorius is charged with contravening of the Firearms Control Act. He allegedly fired a shot from a Glock pistol under a table at a Johannesburg restaurant in January 2013.
n September 30, 2012 he allegedly shot through the open sunroof of a car with his 9mm pistol while driving with friends in Modderfontein. I'm a 59 year old man looking to meet women between the ages of 46 and 70.